Principal Cast : Anthony LaPaglia, Miranda Otto, Stephanie Sigman, Talitha Bateman, Lulu Wilson, Grace Fulton, Phillipa Coulthard, Tayler Buck, Lou Lou Safran, Mark Bramhall, Adam Bartley, Lotta Losten. 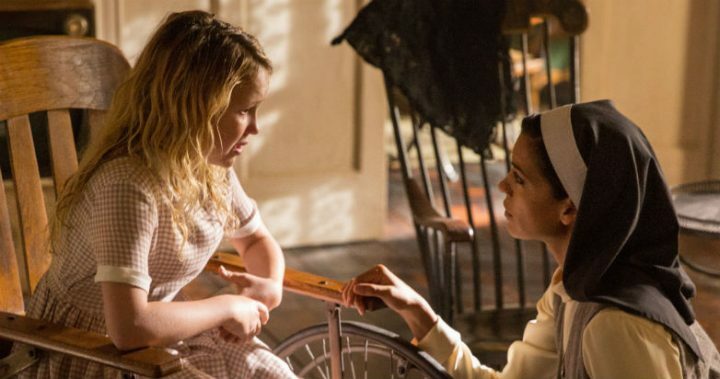 Synopsis: 12 years after the tragic death of their little girl, a dollmaker and his wife welcome a nun and several girls from a shuttered orphanage into their home, where they soon become the target of the dollmaker’s possessed creation, Annabelle. 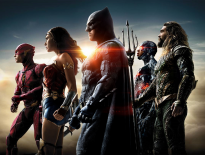 In the post-millennial cinematic landscape, the horror genre has elevated itself from low-budget schlock origins and has moved well and truly into mainstream acceptance. Would a sequel to a spin-off film to a successful horror property – James Wan’s The Conjuring – have found financing twenty years ago? Heck, even ten? Doubtful. 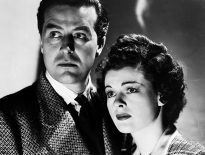 Horror films have become high-quality, talent-drawing affairs these days, with storytellers able to use the genre to inflict gruesome or terrifying film-making techniques to unsettle even normally unshakeable audiences. Annabelle: Creation is the sequel to 2014’s successful Annabelle, which itself was a spin-off to The Conjuring’s opening sequence, and takes us into the central doll character’s origin in a film that prickles the tinderbox of scares all the way through. In the early 1940’s, a bereaved couple, dollmaker Samuel Mullins (Anthony Lapaglia) and his wife Esther (Miranda Otto) are mourning the sudden death of their young daughter Annabelle (Samara Lee), following a tragic accident. A decade later, six young orphans seeking shelter arrives at the Mullins’ homestead following the closure of the local orphanage, led by Sister Charlotte (Stephenie Sigman). One of the young orphans, a polio-afflicted girl named Janice (Talitha Bateman), is lured into the former bedroom of Annabelle only to find her demonic spirit is kept hidden inside the guise of one of Samuel’s dolls; now unleashed, Annabelle begins to wreak havoc. A good horror film has to achieve one thing well, and that’s to scare the pants off the viewer. Be it through creaking floorboards, things springing out of the dark or apparitions of any variety, supernatural spookage comes in a variety of guises, to say nothing of well designed sound mix and an appropriately eerie musical score. Annabelle: Creation isn’t particularly flashy, but what it does to is gently ramp up the hands-over-the-eyes scares that work supremely well. Incoming director David Sandberg helms this aching story of young lives in imminent danger from something beyond the grave, working tropes into the isolated setting that offer tangible elements of empathy. The young girls in the film epitomise innocence and helplessness, made all the more tangible thanks to LaPaglia’s character’s impotence at helping. Sandberg understands horror innately. He understands that the audience is more terrified of what it can’t see than what it can, what darkness lurks off the edge of the frame, and how effective not seeing something can be: Creation exists in those darkened edges, a palpable dread ever so slowly ramping up into full blown evil terror as Sandberg’s manifesting of Annabelle’s primordial evil entity begins to grow in strength and audacity. Although logic never really seems credible in these kinds of films (if the entity can kill at will, why doesn’t it just kill everything and get on with it, why drag it all out?) Creation’s internal methodology is to instil in the girls an unreasonable fear (and consequently, the same in us) while understanding that the actual origin of this monster is borne out of loss and sorrow. Samuel and Esther aren’t bad people, just sad people, and their belief that they could keep their deceased daughter close through their sorrow inadvertently releases satanic powers into our world. This parental grief certainly tapped into my own fear of such loss. Annabelle: Creation contains lots and lots of darkness. Shadows are everything in this film, with creatures and terror emerging from darkness both manufactured and organic as the story unravels. Evil needs an absence of light to proliferate, and this isolated setting and its early 20th Century limitations – no cell phones, ha ha! – provide compelling aspects of this to the viewer. Dark barns, basements, attics and those creepy cablecar things that go between floors of a hotel (you know, to take your dirty dishes down to the kitchen), all provide a nice gallery of horrors to inflict on our characters, most of whom spend a large portion of the film running and screaming. 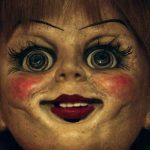 Flickering bulbs and staccato scarecrows and demon figures are omnipresent in tapping into our collective fear of creepy things, and as with the original Annabelle, in this film the eponymous doll never once moves on-screen. It just sits there. Watching. Waiting. Creepy as hell. The cast all serve their character well; only two of the young girls, Bateman’s Janice and Lulu Wilson’s Linda are given any real development, with the others in the gang simply there to add background bodies on the screen at times. Stephanie Sigman’s resolute nun, Sister Charlotte, gives the film a touchstone into religious strength although as the film progresses we begin to realise that even that isn’t enough – what the entity does to LaPaglia’s crucifix clasping fingers midway through the movie will make even the hardest horror fan flinch! – but Sigman is watchable and provides maternal comfort through the story. 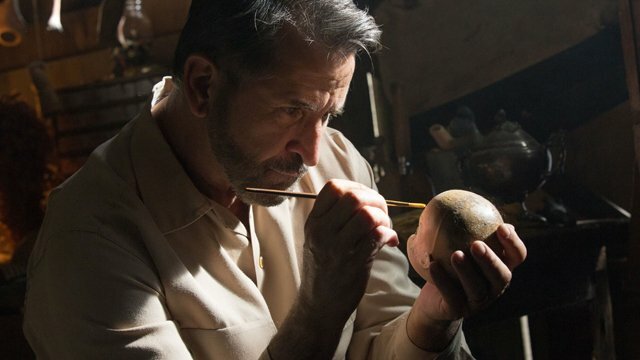 LaPaglia is gruffly stoic, resolutely melancholy and most definitely not over the death of his daughter ten years earlier, while Miranda Otto’s largely unseen role as Mrs Mullins feels like it’s flavoured with the tone of Phantom of The Opera and a touch of Rear Window. The Conjuring franchise continues to do something very few modern horror series succeed in; it furthers the story, offers tangible, compelling scares, and feels organically placed within the world James Wan created in the original film. Director David Sandberg (Lights Out) has been tapped to direct Warner Bros’ Shazam comic book movie, and based on this experience I’d say that film was in great hands. Sandberg has an innate sense of character, story and pure cinematic thrill working in concert, and Creation, while obviously working within the Conjuring universe, could very well stand as its own film (the final sequence in the film links directly to the first Annabelle) even though the now expected post-credit sequence references the upcoming second spin-off film, The Nun. Annabelle: Creation sizzles with its slight story and queasily horrifying supernatural thrills, boasting excellent – if limited – performances and a solid directorial style that magnifies the genre’s more generic tropes into something fresh and compelling.